Jane/Remi might have to go to extreme lengths to prove herself to Sandstorm. 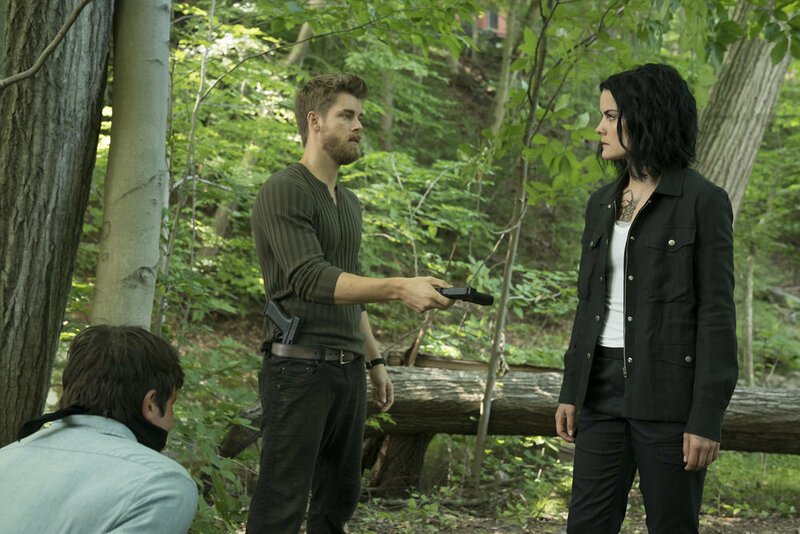 Get a sneak peek of tonight’s Blindspot, “Hero Fears Imminent Rot”. Blindspotters, we need to talk! Last week’s episode still has me all up in my feels for so many reasons. I think the first place we need to start is that Allie is pregnant and Weller is the baby-daddy! But what’s more concerning is that it seems, for now, that Weller has no interest in being in this child’s life… which is super unfortunate. I mean, let me be honest, I’m still a Jeller shipper, but Weller shouldn’t be an absentee father. With that said, I understand Weller’s hesitation… the fear that whatever motivated the evil in his father is in him. But I do have hope! In this recent Entertainment Weekly interview with Sullivan Stapleton, it seems that in time, Weller will come to accept the pregnancy and it will help bring some light into his life. However, what does this mean for a potential Jeller reconciliation? Speaking of Jane/Remi, she’s taking on this triple-agent role pretty well, but there’s still the threat of the Sandstorm mole in the FBI… who could it be? In any event, Roman has kidnapped Jane now, so he must have another plan in mind for his sister. And in other news, it looks like a Borderson ship is in the making! I think Patterson and Dr. Borden will make a super cute, genius couple! From the images and episode trailer below, the pressure is really on Jane to prove herself to Sandstorm… and that pressure is intensified by Nas Kamal and Team Weller. Will Jane go through with the assassination? We’ll find out when Blindspot airs tonight at 10:00pm ET|PT. Join me to live tweet “Hero Fears Imminent Rot”!